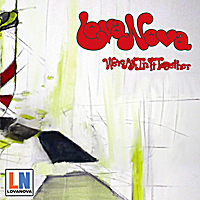 Lovanova is a instrumental combo driven by Paul "Evil" Kneevers' Hammond Organ. Kneevers heavily hot-rodded Hammond draws upon the foundation of Hammond players like, Jimmy Smith, Booker T and Larry Young, then steps beyond these traditionalists. Lovanova is a instrumental combo driven by Paul "Evil" Kneevers' Hammond Organ. Kneevers heavily hot-rodded Hammond draws upon the foundation of Hammond players like, Jimmy Smith, Booker T and Larry Young, then steps beyond these traditionalists in each screaming solo. Lovanova is rounded out by the multi-faceted talents of veteran musicians Dave Schoepke, Joey Carini, and Sean Williamson.